In order to help car buyers understand monthly fluctuations in car price list in the Philippines, Philkotse.com provides updated Nissan Philippines price list as of April 2019 as follows. With thousands of Nissan for sale at the cheapest prices updated daily by certified owners and dealers on Philkotse.com, your next ride may be just a few clicks away. Check out the latest Nissan Philippines price list this April 2019 on Philkotse.com, including updated prices (new excise taxes included) for Toyota's best-selling models such as the Nissan Almera, Nissan Altima, Nissan GT-R, Nissan Juke, Nissan Navara, Nissan X-Trail, Nissan Urvan and Nissan Terra. Please note that the following car price list and car promos from Nissan Motor Philippines are updated regularly, so please bookmark this page to catch up with the latest automotive deals. The Nissan Terra comes to life as a big hit to the midsize SUV segment. 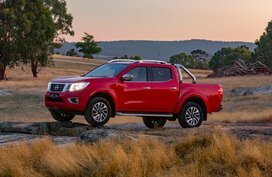 It is built based on the Navara’s platform, coming with excellent off-road capabilities and a great toughness. The Terra is decorated with muscular character lines, angular daytime running lamps, defined fenders and chiseled hood, showing not much difference from its pickup truck brother. Meanwhile, the cabin features a curvy dashboard, touchscreen infotainment system, cluster of the climate control and a multi-information instrument cluster with colored graphic display, highlighted by chrome accents and soft silver plastics over the cabin. A 2.5L YD25 DDTi diesel engine is the power provider for the Terra. It can produce 190 hp and 450 Nm of torque, paired with a seven-speed automatic gearbox with a manual mode. Besides, 6-speed manual versions are also available in the lineup. The all-new Nissan Terra 2019 is priced from P1,499,000 to P2,096,000, offering a lot of interesting features inside and out. The new Nissan Altima is exactly an ideal full-size sedan for those who dream a car with great style, safety and comfort. The updated Altima’s overall style shows certain similarities to its brothers - the Sylphy and Almera. What makes the car distinctive is the new V-motion front grille decorated with chrome accents. The Altima can house up 5 people with comfort as it comes equipped with a premium Bose Display Audio, Dual Zone Automatic Climate Control with pollen filter and leather seats. The car also comes standard with Intelligent key, Immobilizer, Vehicle Dynamic Control, ABS with Electronic Brake Distribution and 6 airbags. Power comes from a 2.5L engine which is capable of cranking out 180 hp and 243 Nm of torque, works in a conjunction with XTRONIC Continuously Variable Transmission. As per price, a brand-new Nissan Altima will cost you P1,858,000 this month. 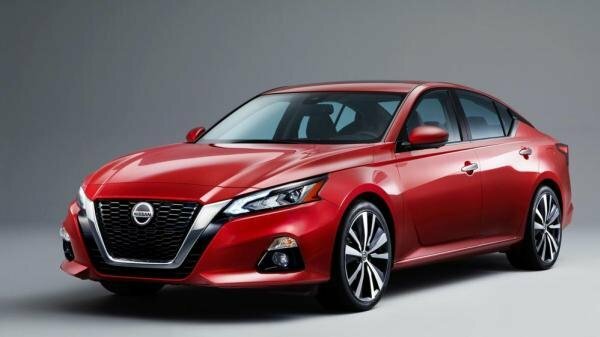 If your wallet won't allow you to go for an all-new Altima, take a look at our list of all available deals of Nissan Altima for sale by both private sellers and dealers to find more affordable choices. 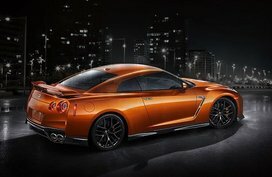 The Nissan GT-R is actually a redesign of the Skyline GT-R introduced in 1969 and it was launched in 2007. The GT-R is a 2-door coupe owing an attractive appearance. It comes adorned with swept-back headlights, along with graceful curves, large side vents and GT-R letterings highlighted at every angle. Steeping inside, the cabin boasts a beautiful leather trim with comfortable seats for 4 people, plus a Bose Sound System and a Dual Zone Automatic Climate Control. Other noticeable features include a 7’’ display for Nissan Hard Drive Navigation system, big gauges and the Push Start. Speaking of the engine, the GT-R is equipped with a 3.8L 6-cylinder powertrain producing 570 hp and 633 Nm of torque, driven by an all-wheel-drive system and mated to a dual-clutch six-speed gearbox which is available with 3 driver-selectable modes. 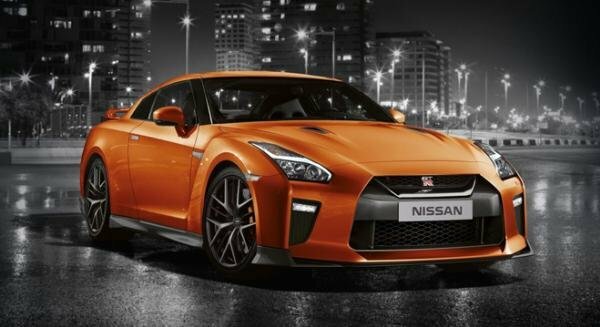 You can buy a new Nissan GT-R 2019 from any Nissan dealerships in the Philippines with a price of P7,350,000. 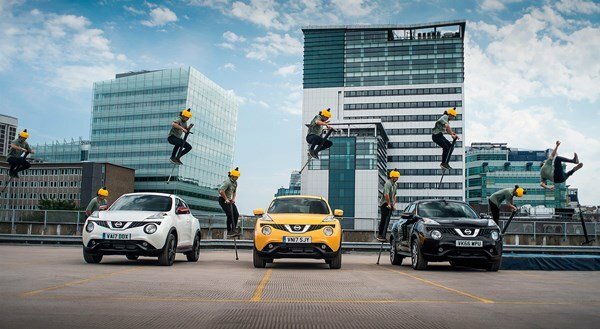 The Nissan Juke is the first step of the Japanese carmaker into subcompact crossover segment in our country. It looks outstanding thanks to an unorthodox body styling, V-shaped chrome grille, muscular curves, 2-door illusion and quirky front fascia. Opening the doors, what attracts us first is bucket seats, hooded gauges, a motorbike inspired center console and a leather-covered steering wheel. Especially, the Juke is pampered by the carmaker as it has I-Con system which allows you to adjust driving modes, air conditioning system and more within a single interface. The cabin can offer seats for 4 people with comfort while the rear seating row is foldable for enhanced trunk capacity. Standard safety features include child protection lock, anti-theft immobilizer, ABS with EBFD (Electronic Brake Force Distribution) and airbags. The Nissan Juke Philippines is armed with a 1.6L powertrain which can dole out 116 ho and 154 Nm of torque, mated to Xtronic CVT transmission system of Nissan. The Nissan Juke 2019 price in the Philippines goes from P1,021,000. More affordable deals can also be found in our Nissan Juke for sale list. 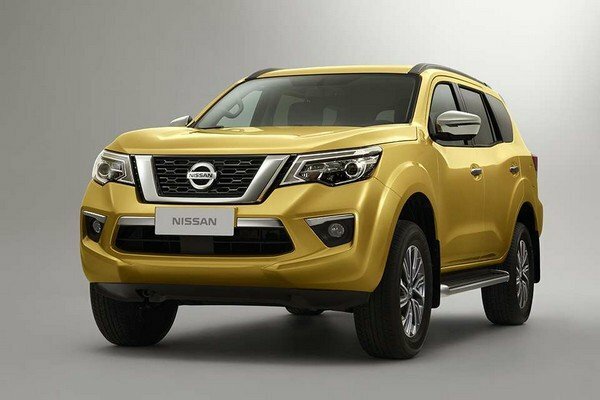 The Nissan Navara is considered to be one of the best pickups in the worldwide auto market. 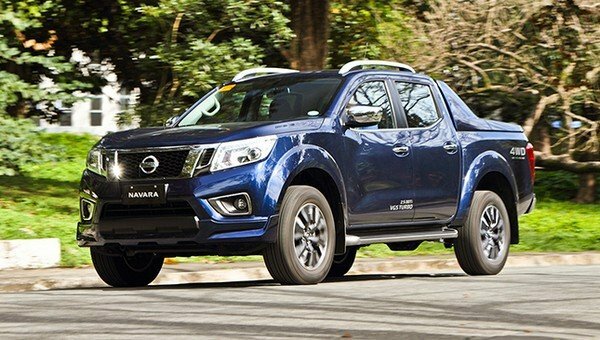 Since its launch, the pickup has received a series of upgrades, making the Navara become a more serious rival for all models in the pickup segment in the Philippines. The front fascia gets an intimidating look with edged slopes while the headlamps come with LED daytime running lights. It is also equipped with a rigid 5-link rear suspension to improve comfort for all occupants. Inside, the Navara is offered a steering wheel with audio controls, a Drive-Assist display, Smart Mirror and rear air conditioning. The base version runs with a 2.5L 163 hp 403 Nm 16 valve powertrain while the top-spec variant produces 190 hp and 450 Nm of torque, teaming up with a seven-speed automatic or a six-speed manual transmission. With a price tag from P917,000, the Nissan Navara is definitely a great choice for pickup lovers. Start your car hunt from our complete list of Nissan Navara for sale in the Philippines. The new Nissan X-Trail now gets a stylish and sleek appearance. It features a larger ‘V’ shape grille and daytime running lights, earning a better visual experience while driving. 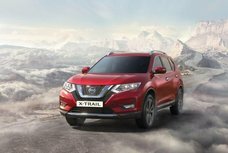 The X-Trail is evaluated to have a good practicality as it serves Filipino car users with a lot of convenient features like a Divide-N-Hide cargo system or a full automatic dual zone climate control, offering a great and comfortable driving experience. 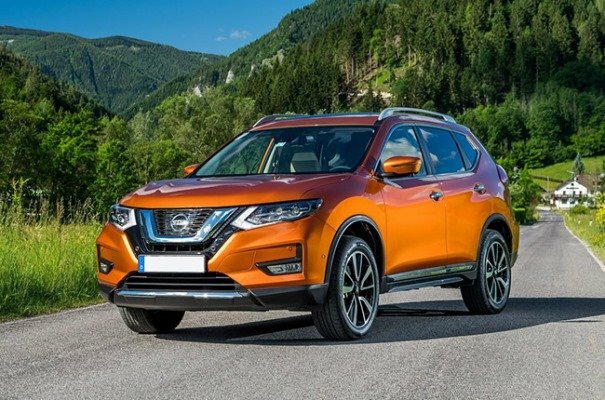 A 2.0L gasoline engine runs the X-Trail and cranks out 142 hp and 200 Nm of torque, works with XTronic continuously variable transmission of Nissan. A 2.5L 168 hp 233 Nm mill is available as another option. In the Philippines, the Nissan X-Trail comes available in two versions: the 2.5 4x4 and the 2.0 4x2. 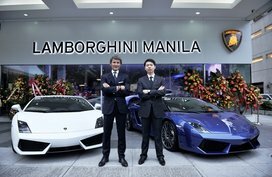 The prices for them are P1,820,000 and P1,534,000, respectively. The Nissan Urvan can ensure car users with basic demands: roomy space, great comfort and guaranteed safety. The 15-seater van is surely the best friend for your family, particularly on long journeys because of its generous headroom and legroom. The Urvan is armed with 2-tone dashboard panel, 14 individual air conditioning vents, ensuring your comfort and convenience in the cabin. 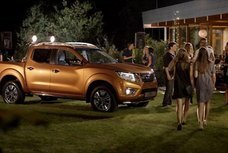 It works with a high-torque 2.5L turbo diesel mill which is also used in the award-winning Navara. The engine can dish out 127 hp and 356 Nm of torque. 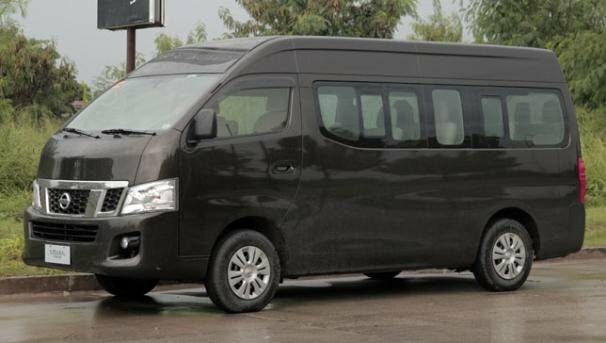 However, compared to the Toyota Hiace, the Urvan’s 2.5L is not as strong as the 3.0L. The Nissan Urvan 2019 price in the Philippines starts from P1,158,000. Look for more affordable options in our Nissan Urvan for sale section. The Nissan Almera was born to be a 4-door sedan in the Philippines. The car body comes adorned with subtle lines and elegant curves, highlighted by chrome accents at the front fascia and the trunk, earning the car a touch of class. 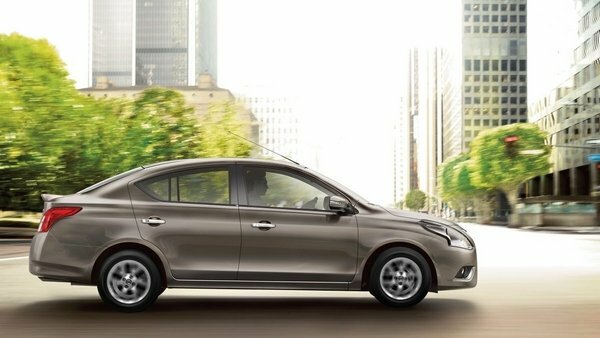 Stepping inside, the Almera boasts a roomy cabin with lavish legroom and headroom. It is equipped with standard features including speed sensing door locks, child protection lock plus anchor, keyless system, immobilizer, brake assist and front airbags. Each version will be armed with more entertainment facility like CD player with 2-4 speakers, AUX connectivity, 2 DIN AM/FM unit and MP3. 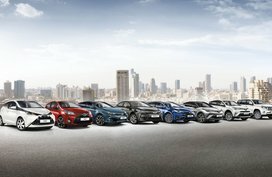 Especially, the sedan is also offered some advanced features like rear parking sensors, keyless system with remote, ABS, EBD, BA, immobilizer and dual SRS airbags. Under the hood, the Nissan Almera begins with a 1.2-liter mill mated to a five-speed manual gearbox to a 1.5-liter mill combined with a four-speed automatic or a five-speed manual transmission. In the Philippines, a brand new one costs from P657,000 to P933,000. 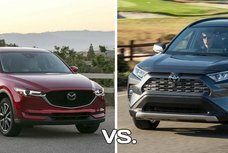 In-depth reviews of these models and other Nissan cars can be found in our Nissan reviews section.